With Church Street Garage, you get a little more than what you get elsewhere. You get highly trained technicians that thoroughly inspect and diagnose your vehicle, a mindset of superior quality and customer service as the first priority, honest and fair pricing, the industry's best warranty on all repairs, and personal customer service. You will deal directly with the owner of this locally owned business and experience a level of service and support which differentiates this business from other car repair businesses. Come visit us and experience the difference between us and the service you get from others, including large dealerships. We ARE the dealer alternative! We can and do perform any engine service. From oil change to full rebuild, our trained technicians take great care of your vehicle’s engine. At Church Street Garage we not only have the tools and equipment to diagnose your vehicle’s electrical and electronic systems, we have the experience! 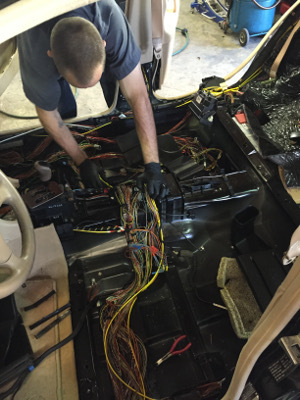 Church Street Garage is the leader in Mercedes Benz & BMW electrical diagnostics on the Treasure Coast! This is an outstanding garage for the BMW or Mercedes owner. Michael McAdams is the owner and hands on master mechanic guiding the customer as well as a very capable staff of skilled techs. Michael brings decades of national race experience as well as extraordinary mechanical knowledge to owners of these two German marques. 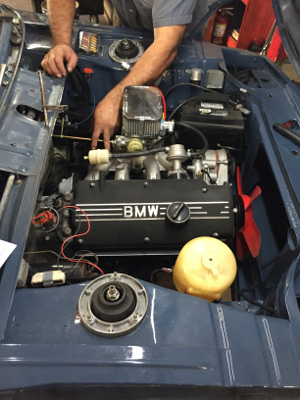 Having your vehicle serviced at Church Street Garage near downtown, Stuart, Florida will ensure that your BMW or MB is maintained to the highest standard possible, at a significant savings over dealer rates. I have been a BMW motorcycle and car owner since the 1970's and could not be more pleased with the condition of my 10 year old Z4 thanks to Church Street Garage. Knowing that these guys have your back as far as repairs and preventive maintenance is concerned enables you to truly enjoy the ownership of a great vehicle without worrying about your next trip to the dealer. Ryan the owner of this garage is a swell guy and the group of mechanics are top notch. They have been taking care of my ML350 for a few years now and it runs like new, even though it has over 130,000 miles and is seven years old. They are swift, very fair on pricing and honest. Recommended without hesitation. One of the best shops in the area. They really know customer service and it shows. I highly recommend them to everyone that needs a GREAT automotive shop. I took my vehicle to Church Street based on my neighbor's recommendation who said they were reliable and experts with Mercedes. I was very impressed with the personal attention and patience in explaining the problem with my car. I don't always write reviews, but I felt it was warranted in this case. The owner was sensitive to the repair costs and helped me prioritize what was important to do now versus what I could do later as well as educated me on whether I needed new parts or rebuilt parts. I felt they were so honest. They could have made more money by selling me all new parts versus those that could be purchased rebuilt without impacting the performance of my car. I would recommend this shop to anyone with a BMW or Mercedes. I have been a Mercedes owner for over 15 years and once one of my cars gets past warranty I always go to a local garage specializing in Mercedes. For the past five years I have used Church Street Garage and have found their service and integrity to be exactly what one would hope for in a non-dealer environment. Dealers I find treat service as cash cows. Ryan Giddings and his staff treat their customers well, and do their best to provide value and excellence.